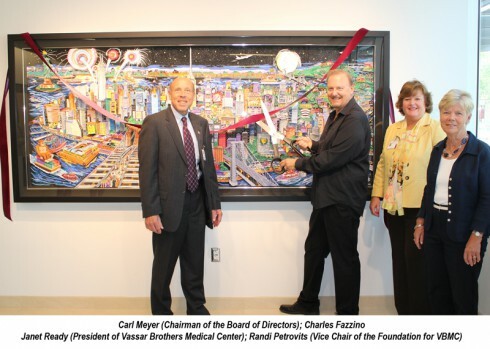 The Vassar Brothers Medical Center recently commissioned Charles Fazzino to create a mural for their new Daniel Z. Aronzon Ambulatory Surgery Center. This brand new 25,000-square-foot, state-of-the art surgery center provides the most advanced care and services to residents throughout the Hudson Valley. It was built as the result of a successful community fundraising campaign and sets a new standard for patient care in the Hudson Valley. It stands as a testament to the level of excellence championed by Vassar Brothers Medical Center and the HealthQuest network to which it belongs. This extraordinary installation is entitled Manhattan to the Hudson Valley and was recently unveiled in a ribbon-cutting ceremony. This mural is the latest in a long series of original art commissions and public installations created by 3d pop artist Charles Fazzino. 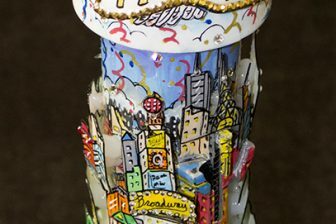 His artistic resume includes commissioned work for American Airlines, The Home Depot, Newark Beth Israel Children’s Medical Center, The New York Mercantile Exchange, and many more. 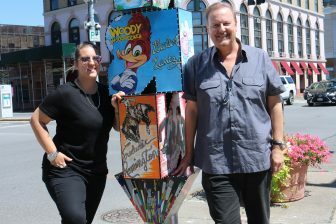 Countless organizations, companies, and events have turned to Charles Fazzino to capture the essence of their missions and convey that in a clear, colorful, and meaningful way through his signature style of 3d pop art.